Sat morning – 290 at 7 knots, 15F/-10C, 10 Miles plus visibility – we have Visual Flight Rules and are just in cold weather operating limits. 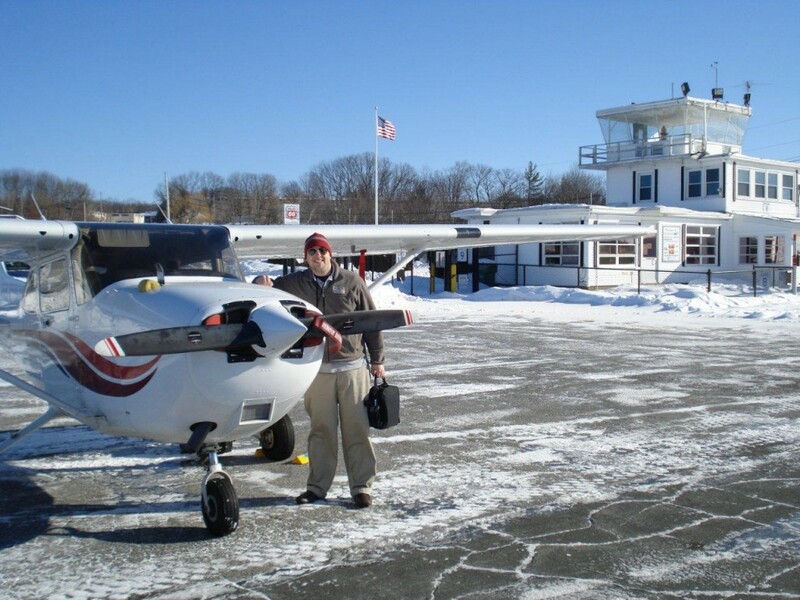 Let’s try for breakfast in Fitchburg, MA followed by some accelerated stalls and landings. Wonder what Greg my instructor will have in mind? I take him in the Flight Plan I have prepared. He reviews it. OK’s it and off we go. FANTASTIC smooth air – clear for 50 miles in all directions blue sky flight, first down on freshly plowed runway 32 at Fitchburg. Couple of circuits – in for breakfast, some more circuits then back to the Scituate Training Area for accelerated stalls and power on stalls. Back down in Providence. 3.6 hours and 7 take offs and landings in the logbook. The nav plan worked out beautifully, VOR tracking was right on the money and we even remembered to close our flight plan with Flight Service before they came looking for us. It just doesn’t get any better on days like this when the aircraft performs so well in the dense cold air. Landing fess – remember that generous tip? No fees. Total $310 / 2 = $155 per breakfast.